We are getting close to being ready to apply the paint! 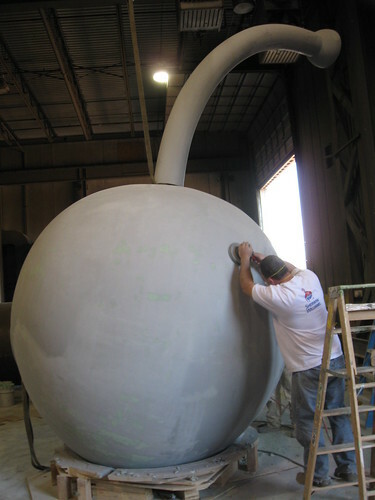 Enclosed are some images of the cherry with a light coating of grey epoxy primer. Swanson & Youngdale is using a fine-grade sandpaper to remove sanding marks and make the entire surface perfectly smooth. 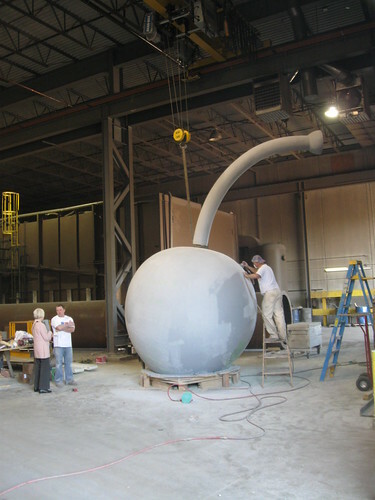 Tomorrow the work will be given a thick coat of epoxy primer. On Monday morning, Joe will inspect the work one more time to make sure it is looking good, and if all is well, the final layers of red paint will be applied.